Mumbai - December 07, 2017: WorkAmp Spaces launches their maiden endeavour in Mumbai with their state of the art work space in Andheri East. This would be the first amongst a series of office spaces planned to be opened in Mumbai. Spanning across a total area of 10,000 Sq. Ft., this newly launched centre would boast of a 3000 Sq. Ft. terrace garden to unwind with a 300 feet length all round gallery. With this launch, WorkAmp Spaces now has a total of 3 centres in and around the city. The centre has a seating capacity of 200 people and would have a trained concierge service to cater to the individualistic needs of each customer. Besides this, premium hospitality services would be provided to each customer to ensure flawless meetings with their guests. 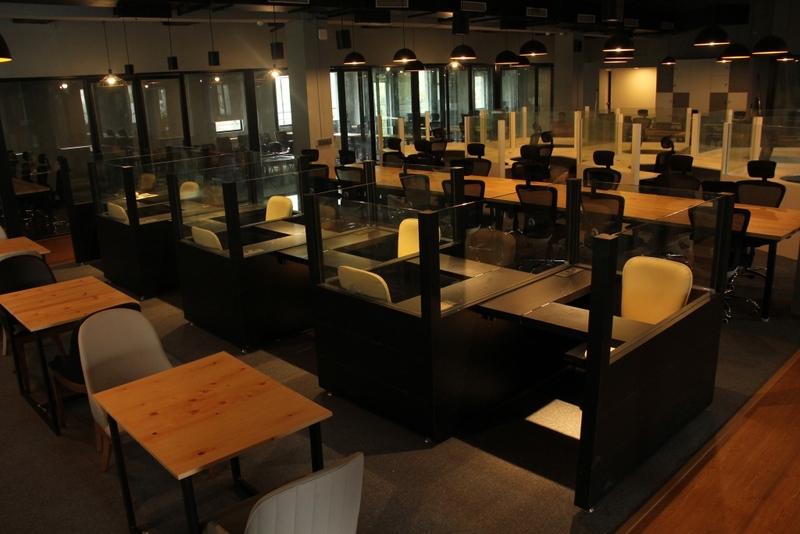 The centre would also boast of pinewood tables and metallic ergonomic chairs for comfortable working experience. 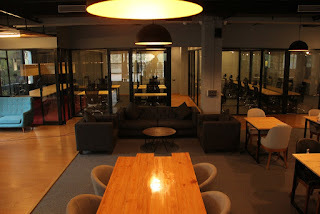 Besides this, the centre would incorporate a swing conference room for an open meeting experience to make the all so boring meetings a little quirky. Commenting on the launch Mr. Smeet Gala, Founder & CEO at WorkAmp Spaces said, “Co-working is disruptive because it is changing the entire industry. Our plan is within next year is to open 10 locations each in the size of 25000 – 30000 sq. ft. carpet area to add to the current inventory we boast off. Our new centre in Andheri is focused on redefining the way work gets done through use of work space psychology, ergonomics that are futuristic, modern and tech-integrated. We see an ever growing potential in Mumbai for commercial spaces and this would urge us to expand our network in the city”. The newly launched workspace is designed keeping in mind a meticulous use of human psychology, designs to back this and an overall use of exquisite aesthetics. It flaunts of an ideation room which is designed to cut off the world and let you ideate to one’s true potential. The office space also flaunts a unique phone booth which would help customers carry out a disturbance free telephonic conversation. Another product offering of this new workspace is the use of bespoke designs to suit the requirement of each customer. Clients have the option to design their workspace basis their requirements. 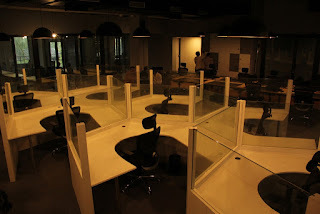 The cocoon desks that this workspace boasts off would ensure the increased productivity of each customer as the designs help in cutting off visual and sound disturbances. The new office location is strategically located at a distance of 15 minutes from the Western Express Highway & Eastern Express highway. It is also closely located to the Saki Naka Metro Station which is a mere 7 minutes’ walk away. In the near future, WorkAmp intends to cater to corporate pockets in Nariman point, Andheri, Lower Parel, Powai within the Mumbai region while having their sight set on other metro markets like Hyderabad, Bangalore, Delhi, Chennai and micro markets like Pune, Indore, and Ahmedabad.